Wayne Price. “Kevin Carson’s Revival of Individualist Anarchist Economic Theory” Anarkismo.net, November 30, 2014. Kevin Carson is attempting to resurrect anarchist economic theory. This is interesting because most current anarchist political economy is speculation about a post-capitalist, post-revolutionary, economy—what it would look like and how it might work. There is little or nothing of an analysis of how present-day capitalism functions. For that, most anarchists either rely on some variety of conventional (pro-capitalist) economics or they look to aspects of Marxism. And he accepts — as opposed to grudgingly stipulating — the essentially non-capitalist nature of the market model I propose. Kevin Carson presents individualist anarchism as pro-market but anti-capitalist and even “socialist.” He rejects the “anarcho-capitalist” program of capitalist corporations (with workers hired for wages) but without a state. A (hypothetical) mutualist economy might include small enterprises, shops, workshops, consumer cooperatives, and family farms. Instead of hired workers, enterprises would be democratically managed by their members (producer cooperatives). Banks would be credit unions (cooperative banks). These enterprises would all compete freely on the open market. There would be no state regulation, or state at all. “Justice”, or at least civil peace, would be maintained through mostly local arrangements by the armed citizens. This would be a commodity-producing economy but not capitalism, even by Marxist standards. There would be no separate class of people who owned capital nor would there be a specialized class of propertyless workers who had to hire themselves out to capitalists in order to live. And, while expressing a number of lesser and greater reservations about such a non-capitalist, cooperativist market model, Price is quite willing to tolerate it as one arrangement within a pluralistic post-state society. Assuming that it would work, the community’s members would not make overall decisions about how to develop their society; this would be decided by competing enterprises responding to the uncontrolled market. Even democratically-managed enterprises would not really control their own fate; this would be determined by the ups and downs of the external market. In response, I would first note that even collectivist anarchists don’t usually lionize collective or democratic decision-making as a good for its own sake even when no agreement is necessary; in such cases individual autonomy and self-determination is a good in its own right. 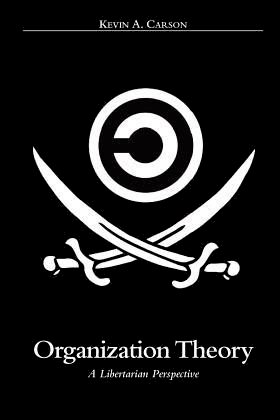 At the time I wrote Mutualist Political Economy I’d barely begun to investigate things like networked organization, stigmergy and p2p governance. Since then these things — which I consider highly democratic — have played a major role in defining my conception of democracy. As I argued in The Homebrew Industrial Revolution (an argument also central to my book in progress, The Desktop Regulatory State), if we think of democracy as increasing in degree as we approach unanimity of consent, then the kind of stigmergic organization characteristic of open-source development groups and Wikipedia are the ultimate in democracy. Every single project undertaken has the unanimous consent of all participating in it. Indeed, some Marxists and libertarian communists see open-source software as the kernel of the future communist society. Second, if I recall correctly I at least touched on ownership of natural resources as a commons in Studies in Mutualist Political Economy. If not, the kind of common-pool resource management Elinor Ostrom wrote about in Managing the Commons was definitely something I was in favor of even then. So the production and pricing of a considerable share of raw materials consumed by the community at large would be subject to democratic governance. Another, more fundamental criticism is that I ignore the possibility that markets, as such, can only exist with a state. He demonstrates that the state has always intervened in the capitalist market. But this does not prove that the market is possible without the state. If anything, it would seem to demonstrate that a market economy requires a state. If the state created the market, the market created the state. A competitive, commodity-exchanging, market, has each person in conflict with every other person, each firm competing with every other firm. It encourages conflict, short-sightedness, and selfishness. It needs an overall institution to hold society together, to serve the overall interests of the dominant economic actors. That institution can only be a state. I would say that here Price is illegitimately conflating markets, as such, with the mediation of most social activity through the cash nexus. 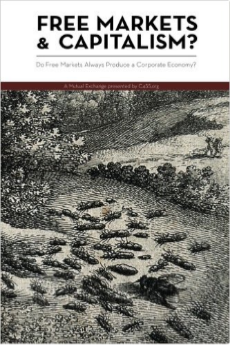 I admittedly place less emphasis on markets now as one voluntary means among many for governing economic relationships, than I did at the time I wrote Mutualist Political Economy. I’m much closer now than I was then to seeing myself as an “anarchist without adjectives.” I see market exchange as one such means, alongside social economies like gifting and the communism of primary social units like multi-family housing projects, squats and urban communes, extended family compounds, and the like. And because of my subsequent research in micromanufacturing and small-scale food production, I see a major share of consumption needs being produced efficiently inside such communistic entities with market price governing only external inputs like raw materials. 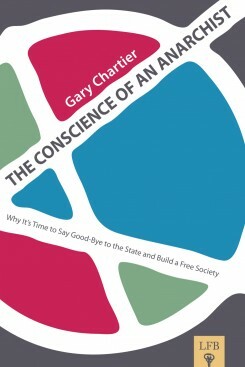 But even in 2004, I did not use the terms “free market” or “market anarchist” in the sense of a society dominated by the cash nexus; rather, I meant by it simply a society comprising the sum total of all means of voluntary interaction, free association, and mutual aid — and in which market exchange is not excluded by definition. 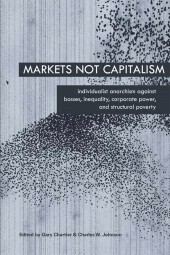 Price also takes issue with my approach to gradual systemic change through building counter-institutions, arguing that such institutions will be marginal and tend to be coopted into a capitalist division of labor, unless they are incorporated into a larger insurrectionary mass movement to transform society. I have a great deal more to say on this question than I did in 2004. As I see it, a model of social transformation based on insurrectionary mass movements presupposes the need to assault and conquer commanding heights institutions like corporation and state — a “war of maneuver” — for the purpose of occupying and/or dismantling them. In short, it is an industrial age model in which mass is necessary for objective, material reasons. But based on my research over the past 6-10 years, I believe changes in production and communications technology have rendered the old industrial age dinosaur institutions technically obsolete and materially unnecessary to the kind of society we want to build. As production tools and soil-intensive horticulture become radically cheaper and smaller scale, and hyper-efficient in their use of resources, the concentrated ownership of land and capital is becoming less and less of a chokepoint for enforcing systemic control. The old structural forces like artificial scarcity and expense of land and capital are losing their power to force the alternative economy into a capitalist division of labor. Rather, the new post-capitalist economy is starving corporate capitalism. 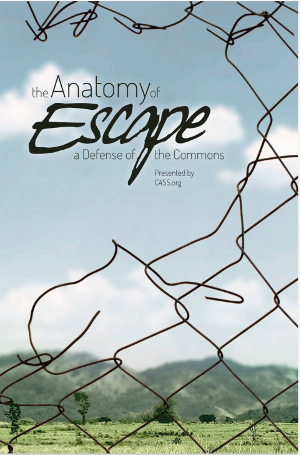 Indeed the more interesting currents in libertarian communism, like the autonomist model of Hardt and Negri in Commonwealth, suggest an “exodus” model of commons-based peer producers seceding from the old capitalist economy. Even more fundamentally, Price sees a non-capitalist market as inherently unstable and likely to decay into capitalism. Even if it were achieved, I doubt that the individualist anarchist system would work for very long. Competing on the marketplace, following the law of value, some cooperative firms would do better than others. There would be winners and losers. The winners would get bigger and wealthier, the losers would go under. A pool of unemployed workers would develop. There would be business cycles of expansions and recessions. Stratification would develop within and between the enterprises. The wealthier cooperatives and family farmers would dominate the “self-defense” associations which would take over policing. A de facto state would emerge. This “winners and losers” argument is not new. Friedrich Engels himself used it in Anti-Duhring, arguing against Duhring’s “force theory” that capitalism would have spontaneously emerged from a peaceful market even without the history of land seizures and slavery — “written in letters of blood and fire” — Marx recounted in volume one of Capital. I’ve seen it stated by most of the collectivist, communist and syndicalist anarchists I’ve argued with, including Christian Siefkes (on the Foundation for P2P Alternatives email list) and Anarcho-Syndicalist Review editor Jeff Stein (private communication). One answer, in the flexible production model, is that there’s no reason to have any permanent losers. First of all, the overhead costs are so low that it’s possible to ride out a slow period indefinitely. Second, in low-overhead flexible production, in which the basic machinery for production is widely affordable and can be easily reallocated to new products, there’s really no such thing as a “business” to go out of. The lower the capitalization required for entering the market, and the lower the overhead to be borne in periods of slow business, the more the labor market takes on a networked, project-oriented character—like, e.g., peer production of software. In free software, and in any other industry where the average producer owns a full set of tools and production centers mainly on self-managed projects, the situation is likely to be characterized not so much by the entrance and exit of discrete “firms” as by a constantly shifting balance of projects, merging and forking, and with free agents constantly shifting from one to another…. Another point: in a society where most people own the roofs over their heads and can meet a major part of their subsistence needs through home production, workers who own the tools of their trade can afford to ride out periods of slow business, and to be somewhat choosy in waiting to contract out to the projects most suited to their preference. It’s quite likely that, to the extent some form of wage employment still existed in a free economy, it would take up a much smaller share of the total economy, wage labor would be harder to find, and attracting it would require considerably higher wages; as a result, self-employment and cooperative ownership would be much more prevalent, and wage employment would be much more marginal. To the extent that wage employment continued, it would be the province of a class of itinerant laborers taking jobs of work when they needed a bit of supplementary income or to build up some savings, and then periodically retiring for long periods to a comfortable life living off their own homesteads. This pattern—living off the common and accepting wage labor only when it was convenient—was precisely what the Enclosures were intended to stamp out. For the same reason, the standard model of “unemployment” in American-style mass-production industry is in fact quite place-bound, and largely irrelevant to flexible manufacture in European-style industrial districts. In such districts, and to a considerable extent in the American garment industry, work-sharing with reduced hours is chosen in preference to layoffs, so the dislocations from an economic downturn are far less severe. Unlike the American presumption of a fixed and permanent “shop” as the central focus of the labor movement, the industrial district assumes the solidaristic craft community as the primary long-term attachment for the individual worker, and the job site at any given time as a passing state of affairs. And finally, in a relocalized economy of small-scale production for local markets, where most money is circulated locally, there is apt to be far less of a tendency toward boom-bust cycles or wild fluctuations in commodity prices. Rather, there is likely to be a fairly stable long-term matching of supply to demand. As a minor quibble, Price says I failed to note Engels’ predictions of the increasing tendency toward “full statification of capitalism” (quoting Engels): “The official representative of capitalist society—the state—will ultimately have to undertake the direction of production.” In fact, in discussing the nationalization of centrally important extractive industries and communication and transportation infrastructure under “democratic socialism” I specifically reference Engels’s relevant passages from Anti-Duhring.